Nobody likes being tied to their desk. So many offices have such frenetic and fast paced working environments, being tied to your desk just isn’t a very realistic or productive way to get work done. Then their is also the limitations that brings from that type of one on one communications. In many instances, more than one person needs to listen on a call whether it is for training purposes or just a general with the companies higher ups. Adding a speaker or a conference to your deskphone, can make a world of difference. Today we are going to help you find the best conference or speaker phone that would best suit your needs. 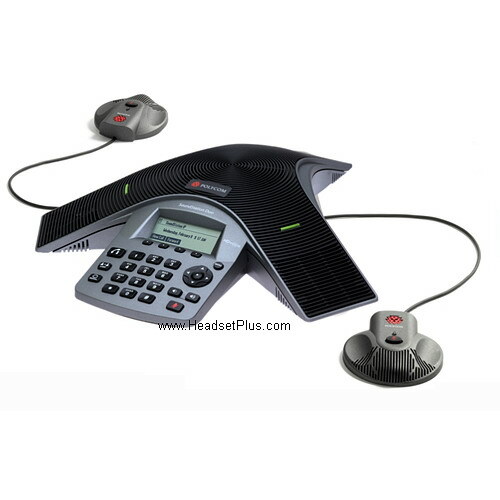 The Konftel 55 is an easy-to-use line of conference phones by Konftel. The Konftel 55 comes equipped with a 3.5mm headphone jack for more private conversations. The Konftel 55 allows for Unified Communications: integrate it with Microsoft Lync, Skype for Business, Cisco Jabber or Avaya while also providing the ability to connect your smart phone or tablet to the conference phone. You can record phone conversations on a memory card to replay, share or save them. The Konftel 55 is small and portable and easy to take with your or move to different conference room. The built-in color touch screen design makes switching between different devices simple and painless. 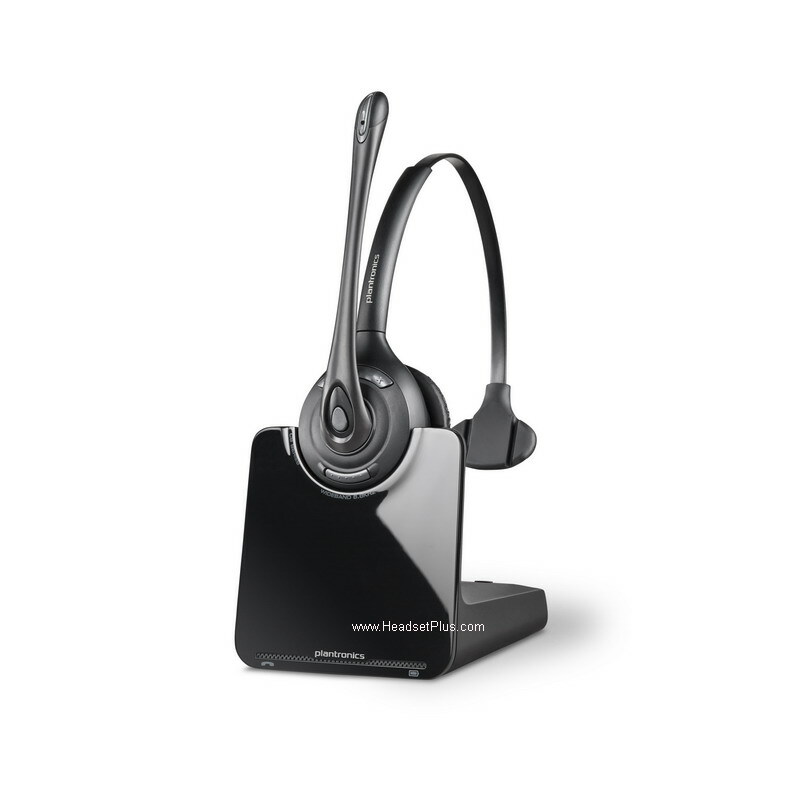 When you purchase a Konftel Deskphone adapter you can connect the Konftel 55 to any corded desktop phone. 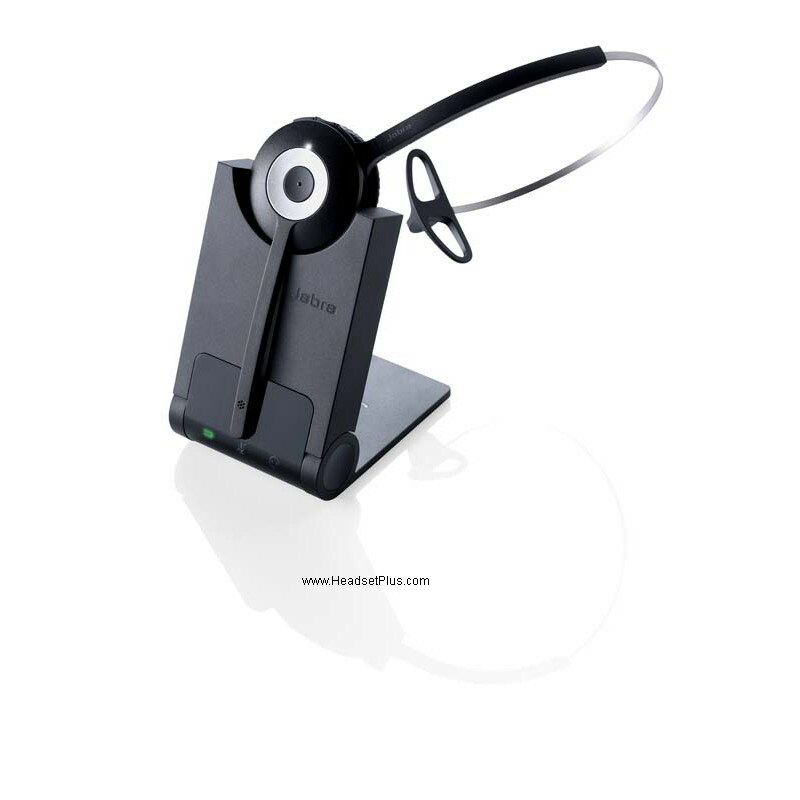 The versatility of the Konftel 55 along with its patented OmniSound audio technology makes the Konftel 55 and ideal addition to your desk phone. BUY NOW! 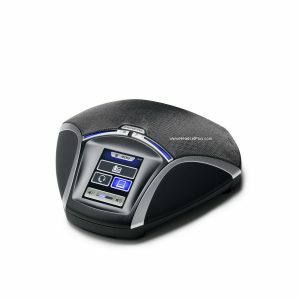 The Konftel 55wx Blutetooth Wireless Conference Phone is a portable speaker that paired with a Konftel Deskphone Adapter allows you to connect directly into your desk phone. The patented OmniSound Technology and 360 degree directional microphone ensures that every participant can listen and be heard during conference calls. The 55wx allows you to stream and play music with HD level audio. Add extension microphones to the Konftel 55wx to adapt to larger conference rooms with many participants simply and easily. The 55wx is designed to be a hub for all forms of communication: connect to any and every soft phone application whether its facetime, skype for bussiness, google hangouts, etc. Pair it with your smart phone or tablet via Bluetooth or connect directly to any computer via USB. The 55wx also is equipped with a rechargeable battery that provides 9 hours of talking time. BUY NOW! The Chat 150 by ClearOne allows to transform your Cisco phone into a high quality conference phone that is ideal for small offices. 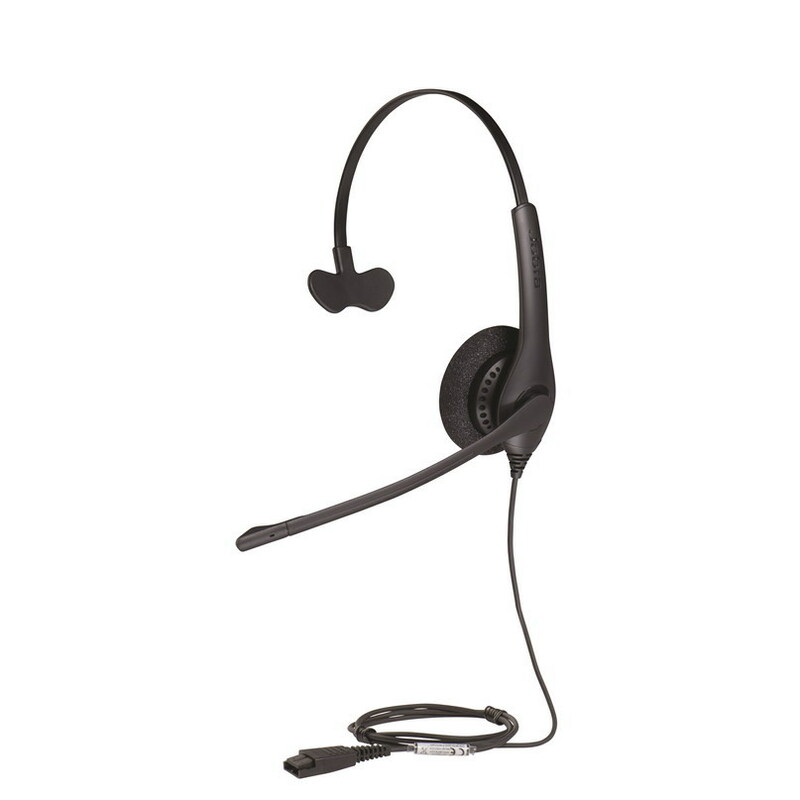 The Chat 150 is equipped with true full-duplex audio — 360 degree microphone pick-up and HD level speaker that provides outstanding audio communications. With the Chat 150 you can integrate any VOIP soft phone, web conferencing and internet telephony applications as well as instant messenger. Auto-updates keep the Chat 150’s software and firmware up to date (internet connection required). The Chat 150 integrates the existing call management features on your cisco phone so you can access company phone directory, voicemail, call transfer, hold, etc directly from the ClearOne conference phone. BUY NOW! The ClearOne Chat 150 for Avaya serves the same purpose as the Cisco Chat 150: transform your dinky desktop phone into a powerful conference phone that’s perfect for executive offices or small to medium sized conference rooms. Connect to any softphone or conference phone applications as well audio playback with music players such as Itunes, RealPlayer, Quicktime and more. The full duplex audio in the Chat 150 allows for users to listen and talk simultaneously with the audio cutting in and out. The Chat 150 noise and echo cancellation and full bandwidth and HD audio. BUY NOW! Call 877-999-3838 if you have any additional questions. Ask for George! When you’re on the go traveling for work you want to travel fast and light, while still having everything that you need for work. This means you cannot carry around your desk phone with a conference speakerphone. Luckily there is a solution for this. These products below will enable you to travel light while still being as efficient as if you were back in the office. Q. I’m receiving No Dial Tone on a Polycom SoundStation 2W. What do I do? Check that the base is powered on. Check that the console is operational. Check that the base is connected to an analog line. Try the unit on a FAX line as fax machines typically use an analog line. Q. What do I do if the Polycom SoundStation 2W console is unable to register to the base unit? 3. Attempt to connect to the base,using the software Re-synch from the console: Menu >Admin Setup>Registration> Register. Physically unplug the battery and reinstall. 4. Try to reboot the phone and reset factory settings (with the soft key menu) while plugged into AC power. If the phone does not have a Registration selection on the menu, it may have older software. To check the version go to Menu>This Phone. For phones with software older than 1.129, try to force the registration process. This does not work on software builds from 1.129 on. 1. After powering up both the Console and Base – press the keys 1,4 and 9 at the same time. 2. The Console LEDs will flash red and then green. 3. Release the Console keys. 4. Press the Base Page Button until the Console LEDs stop flashing and a Bong is heard. Registration is now complete. Q. What do I do if my Polycom Soundstation 2W screen appears to flicker? This may be because you are using a certain type of florescent lighting your building. Try moving the SoundStation2W away from florescent lights. Q. What if I get “No Signal” displayed when the console loses contact with the base? Make sure that the console is not out of the allowed range (150 feet). Move the console to a location where there are fewer obstructions or walls between console and base station. If the console and base station are separated by multiple brick walls, this will reduce the available range between the base and console. Q. Where’s the best place to place the Polycom Soundstation 2W Wireless Conference Phone? This product is recommended for medium to large conference rooms. Polycom SoundStation 2W should be placed in the middle of the conference table. The following are recommended applications for the SoundStation2W. Position extended microphones 7 feet from the SoundStation2W console. 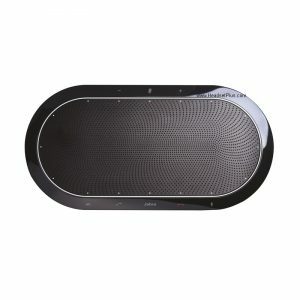 Place the Base Station with 150 ft (45.5 meter) of the SoundStation2W Console. Q. What are the signal levels and specifications for the Soundstation 2W Auxiliary Audio Port? Signal levels are the same for the auxiliary jack ( )on the SoundStation 2W Base, “AC” refers to frequencies between 200Hz and 3kHz. Q. Can I use multiple Polycom Soundstation 2W phones in room? Q. The Polycom Soundstation 2W wireless conference phone hangs and does not complete the boot process. What do I do? At initial setup the console may hang or lock up during startup and does not complete the boot process. This is normally a recoverable error. Remove the battery from the console, replace and turn the phone back on. The console should now boot normally with no further issue. Q. Are Speed Dial settings lost if the battery is removed from the Polycom Soundstation 2W? Speed Dial entries are stored in non-volatile memory and are retained if the console battery is disconnected. Q. 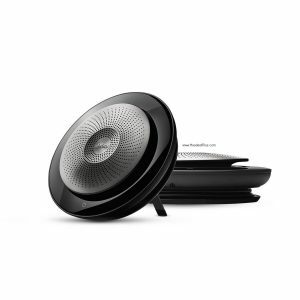 Is there an on/off switch for the Polycom Soundstation 2W console? The SoundStation 2W console does not have an On/Off switch. The only way to completely remove power from the Console is to remove the batteries. The SoundStation 2W does have a Sleep Mode that conserves battery life. Sleep Mode is activated if the phone is not in use for 20 seconds. Q. Can I use External Speakers with the Auxiliary Audio port? The auxiliary audio jack on the SoundStation 2W is the same as that in the original SoundStation. the output includes the local mic signal as well as the far-end audio. The end result will be feedback and poor operation if the output is to an external speaker or PA system. The Aux port was intended for recording of conference calls not for output to any sort of amplified external speaker system. Q. Does the SoundStation 2W support attaching a handset for a private conversation? No, it is not possible to connect a handset to the SoundStation 2W to allow a private conversation. This is a conference phone and was not designed for private calls. 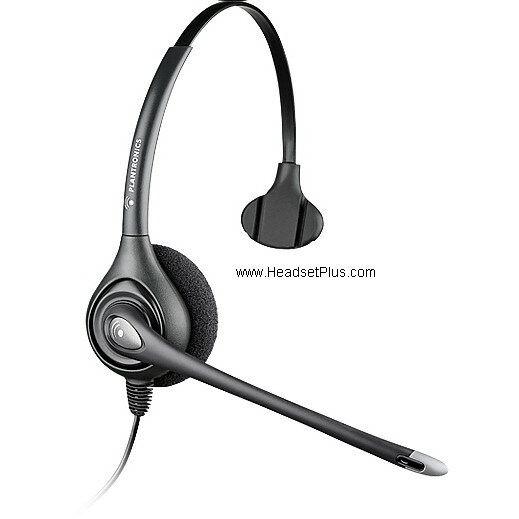 Polycom SoundStation 2 has a built-in 2.5mm headset jack. 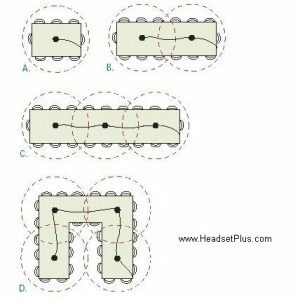 So you can simply pick any headset that has a 2.5mm connector. 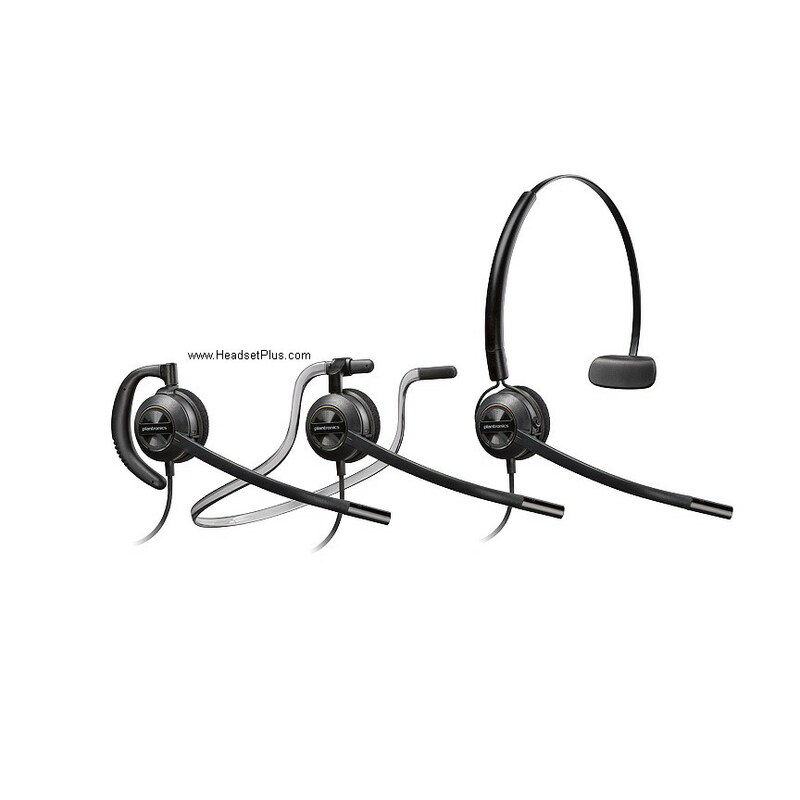 If you want a professional quality headset, you can also choose a headset from the Plantronics H-series headset page + a 2.5mm adapter cable. Connecting the SoundStation2 to a mobile phone such as an Apple Iphone: you simply need an Polycom 3.5mm Smartphone cable from Polycom. Attached the cable to the Polycom Soundstation2 or Soundstation2W, your mobile phone is now the source for your communication if no landline is available. 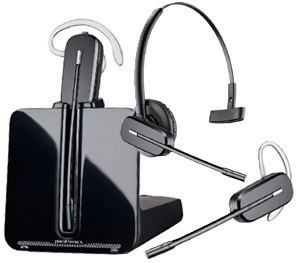 Full duplex audio quality may not be supported when the Polycom SoundStation 2 is connected for conferencing through a mobile phone, and diminished audio quality may occur. This can be the result of poor signal quality on the mobile phone network, as well as incompatibilities between the mobile phone and Polycom SoundStation2. Polycom SoundStation2 supports several standards of Caller ID. Due to the diversity of Caller ID standards, some features may not be available in all areas. In addition, the quality of the telephone line connection may affect Caller ID functionality. (Caller ID service may require a subscription from a service provider in your area. 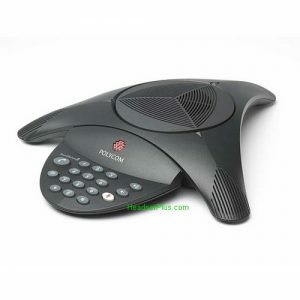 How to make conference calls (3-way calling) with a Polycom Conference Phone? Conference calling (3-way calling) is a service of the phone line itself (provided by your service provider like AT&T), not the Polycom conference phone itself. To place a conference call on your line, you will need to know who is responsible for the analog telephone line that you are using. Some lines will come directly from the Telephone Company and the service must be ordered through them. Other lines may come from your in-house PBX system, which is controlled by your company’s Telephone IT department. Your Phone Administrator should be able to assist you in determining the correct method to access the service on the line. 2. Press FLASH, and wait for the dial tone. 4. Press FLASH, to conference the two lines together. then please contact your telephone administrator or local service provider (telephone company) and ask them how to place a conference call on a single line analog phone with a Flash (CONF,R, or where applicable) button on your network. Please inquire with the phone Administrator or local phone company on the number of lines that can be conferenced in on the same call. Conference phones from Polycom are made up of speakers & microphones, which relay sound the same way a speakerphone does. Their design is such so that many people under the same roof can without trouble speak & hear callers sans needing to group near the same telephone device. 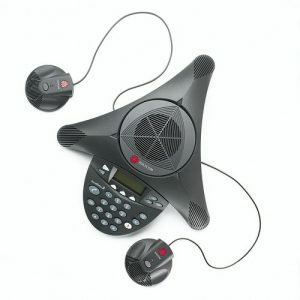 Conference phones more of often than not are made up of an all-inclusive handy unit, which is kept at a common center point and is connected to a normal phone cord. Models can have extra microphones for better functioning. Nearly all usual speakerphones work in “half-duplex” style that activates the microphone and silences the speaker. Its design is there to stop feedback from crushing a call. But it leads to a problem. This sternly upsets the conversation’s natural flow, as only a single person can converse at a time. In case one person from within a group speaks up; the remote member’s voice is shut down. Thus if many people talk in tandem often, chats could finish off sounding irregular. 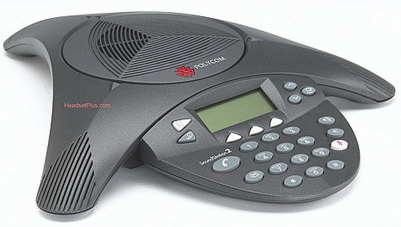 A stark contrast is Polycom conference phone which work in complete duplex style, thereby permitting two people to converse together at the same time. The box uses a digital processor for signals, or echo stopper that through digital signals stops feedback by eradicating sound of the speaker from microphone pickup. Basically, the echo stopper “listens” such signals from the speaker and does away with such sound. Both the caller and attendee can converse sans those disturbances and breaks. Conferencing devices set up is as easy as just “plug and play” in case of a normal analog jack being there. Do not take this as granted, yet, as a large number of firms have phone systems that are now digital, which happen not to be compatible with conferencing devices. In case there not being a line for analog, an adapter can do that job. The adapter most probably do the job but then too check whether the connection with a device’s sound quality by using it. Options are aplenty; consider them as per your equipment use. If you shall be often turning it on & off and taking it to use in various room sizes then buy one that allows easy expansion adjustments. 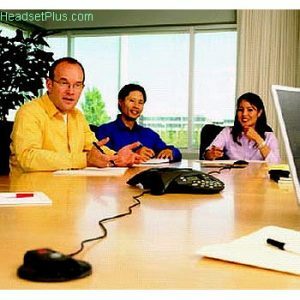 Some have remote controlling or also wireless microphones so that while teleconferencing movement is not compromised. What is a Polycom SoundStation2? The SoundStation2 is Polycom‘s next generation conference phone that delivers remarkable voice quality equal to that of the SoundStation Premier. SoundStation2 also provides a 50% increase in microphone pick up over the original SoundStation and adds great new features. 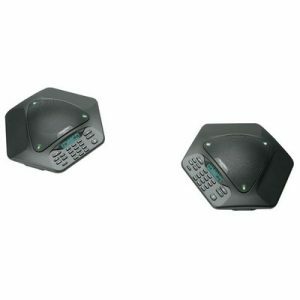 A backlit LCD provides important call information and supports worldwide Caller ID. In addition, a 2.5 mm headset jack lets users connect to other communication devices, such as mobile phones. The user interface of SoundStation2 supports seven different languages: English, German, French, Italian, Spanish, Portuguese and Norwegian. User documentation is supplied in the above languages along with Japanese and Korean, as well as Traditional and Simplified Chinese. What are the differences between Polycom SoundStation 2 and the original Polycom SoundStation? 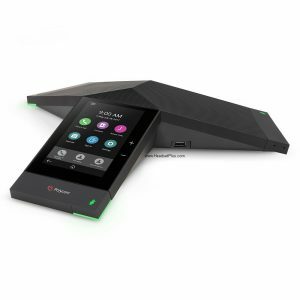 The new Polycom SoundStation2 delivers high quality voice, similar to that of a Polycom SoundStation Premier, plus a 50% greater microphone pickup and sensitivity. 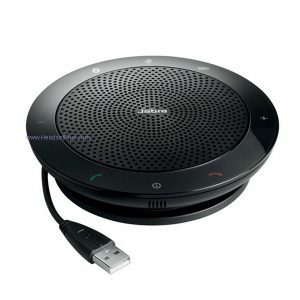 With the new Polycom SoundStation2 you can speak naturally 10 feet away from a microphone and still be heard clearly. Polycom SoundStation2 incorporates a graphical backlit LCD that shows call progress, call duration, Caller ID, a 25 entry address book, and a speed dial button. SoundStation 2 also have a 2.5 mm headset jack for cell phone use. Can I use Polycom SoundStation2 with my Cell Phone? Yes, the Polycom SoundStation2 has a standard 2.5mm headset jack. If you like to use a smart phone such as an Apple iPhone, there is a Polycom Soundstation 3.5mm cable available. with this cable, you can use your iPhone as the communication device for the conference call, say if you’re traveling or don’t have a phone line nearby. What is the warranty for Polycom SoundStation 2? Standard warranty is One year. Is the Polycom SoundStation2 software upgradeable in the field? Polyocm SoundStation2 software (firmware) is not user upgrade able. If I buy the Polycom SoundStation2 for an analog line, how do I upgrade to IP at a later date? 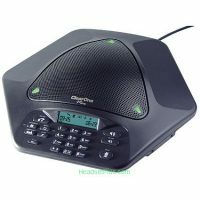 Does Polycom SoundStation 2 work with a digital PBX? 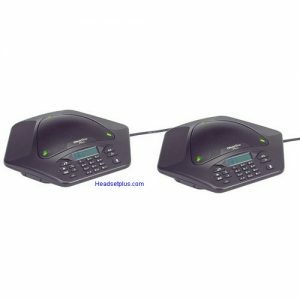 SoundStation2 is an analog conference phone and can be attached to a digital PBX (enterprise phone system) via an analog connection from a PBX analog port. 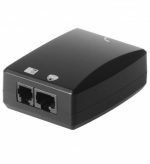 Can I attach Polycom SoundStation2 to my digital PBX using the Konexx Konference adapter? What kind of Caller ID does Polycom SoundStation2 support? Will it work with my PBX? Polycom SoundStation2 supports Caller ID standards allowing this feature to be used worldwide. The standards supported include Bellcore Standard Type I, ETSI, DTMF and BT. Caller ID may require activation by your local telephone company for a small monthly service fee. Due to the diversity of Caller ID standards, some features may not be available in all areas. In addition, the quality of the telephone line connection may affect Caller ID functionality. Some PBXs use proprietary Caller ID protocols, so only the telephones manufactured by the PBX manufacturer are able to decipher these proprietary signaling schemes. Therefore, the Caller ID feature on SoundStation2 may not work in all PBX environments. 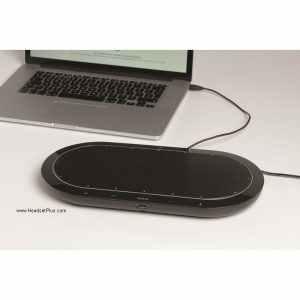 Does Polycom SoundStation2 have independent a connections for external audio and inputs and outputs? Polycom SoundStation2 has an audio port that can be configured via the user interface to operate with wireless microphones, recorders or other “Line-Out” audio devices. 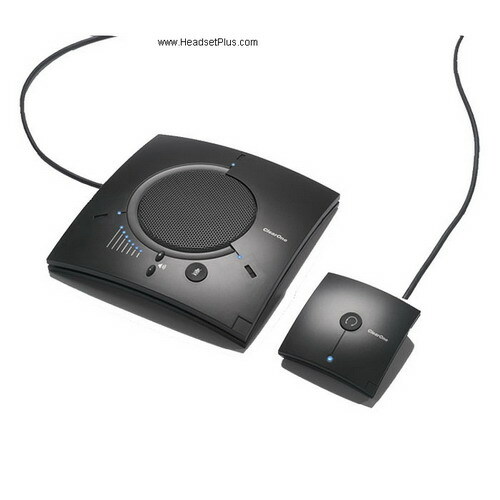 Does Polycom sell auxiliary audio input and output accessories for the SoundStation2 system? No, Polycom does not sell these accessories. Can I use speaker system to use with SoundStation2? Can I route SoundStation2 through my PA system? The “Line-out” mode of SoundStation2 may be able to drive an external speaker or PA system.